The European Space Agency announced today (Dec. 2) that it will stop trying to contact the beleaguered Russian Phobos-Grunt spacecraft, which has been stuck in the wrong orbit for almost a month now. Russia's Phobos-Grunt probe launched Nov. 8 on a mission to collect and return samples from Mars' moon Phobos. But the spacecraft's thrusters malfunctioned shortly after launch, leaving it stuck in a low orbit around Earth rather than on a course for the Red Planet. A signal from Phobos-Grunt was picked up last week by a European tracking station located in Australia, and since then, the European Space Agency (ESA) has been helping Russia's Federal Space Agency with efforts to rescue the troubled probe. However, all subsequent attempts to call Phobos-Grunt have failed to make contact, and ESA announced today that it will cease trying. Skywatcher Ralf Vandebergh snapped this shot of the stranded Russian Mars probe Phobos-Grunt on Nov. 29, 2011, from the southern Netherlands. The agency had attempted to send instructions to the spacecraft to boost its orbit, but officials reported that these commands went unanswered. Russian officials were unable to decipher the information that was received from ESA's Australian ground station from the probe. While some data received by a Russian station in Baikonour, Kazakhstan reportedly indicated the spacecraft's radio equipment was operational, efforts to regain contact with Phobos-Grunt have failed. Ultimately, ESA engineers say they have not completely given up hope for Phobos-Grunt. While the chances to save the marooned spacecraft appear to be dwindling, agency officials maintained their willingness to help if needed. "ESA teams remain available to assist the Phobos-Grunt mission if indicated by any change in situation," officials said in an update posted on ESA's website. Yet, time is quickly running out to save the $165 million mission, and Russian officials remain tight-lipped about the status of their rescue efforts. The window of opportunity for the probe to reach the Martian moon has closed already, since the journey requires Earth and Mars to be properly aligned. If control cannot be regained of the spacecraft, scientists have predicted that Phobos-Grunt could fall back to Earth as a piece of space debris sometime in mid-January. 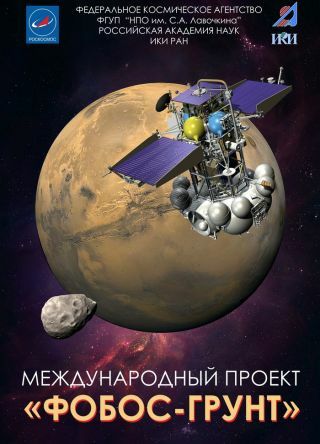 The ambitious Russian mission was designed to study Phobos and return rocks from the Martian moon to Earth in 2014. Phobos-Grunt is the 19th spacecraft Russia has launched toward Mars since 1960. To date, none has achieved full mission success.